This was our vision of what we started calling the "Chic Country OZ!" The program started with me introducing our theme and why we chose Wizard of Oz. I talked about how Dorothy represented all the girls on their own "journey" through Young Women's and how Christ has sent them people in their lives to help them along their way "home." Just as Glenda (the good witch) gave Dorothy the Ruby Slippers and a kiss to start her off right on her journey, each Young Woman has Personal Progress and us as leaders to do the same. Then, the next leader who talked represented the LION and talked about the COURAGE it takes to be in YW's, to represent the morals we believe in and to complete personal progress. The next leader represented the SCARECROW and discussed the KNOWLEDGE you gain while being in YW's and working through personal progress. She then walked us through an online demonstration of the new Personal Progress Online! It was perfect! It was so fun to revisit memory lane and see the girls who will be coming in this year get so excited! Here are one of the 10 different cupcake circles I created...I got a little carried away! Can I just say one more time how much I LOVE my Young Women...I can think of no better calling in the Church then the one I'm in right now. I'm so thankful for the girls in my ward and for the leaders I get to work with and I can't wait to see what other big ideas we will surely come up with next! I've had so much great response to my Wizard of Oz printables that I couldn't keep up with the emails so I finally got smart and now have a link where you can download them for yourself. Click HERE to view the folder with 14 different printable options for you to download. There are different options for all of your needs! You are so creative and cute, I can't imagine anyone more perfect for Young Women's! I bet they LOVE you! You are the best party thrower ever! I always love all your decorations and the detail that you put into it. Looks like it was an amazing night! You are so clever Kelly! I love all the creative things you do!! Hi, I just found your blog and the Wizard of Oz night you did for YM. I love everything about the event and was wondering if you had the printable files for the cupcake toppers and invitation that you might be willing to share? Thanks! Mariah, I don't mind sharing, what email do you want me to send it to? Hi! My name is Danielle and I stumbled upon your blog while looking for ideas for our New Beginnings night coming up at the end of this month. I LOVE your invites and dessert labels. Do you mind sharing? If so, would you mind letting me know where you got your graphics from? My email is danielle_pedersen@hotmail.com Thanks so much! Our YW's Presidency is in LOVE with your Wizard of Oz theme and we are going to do it for our New Beginnings in Feb. You are so creative! 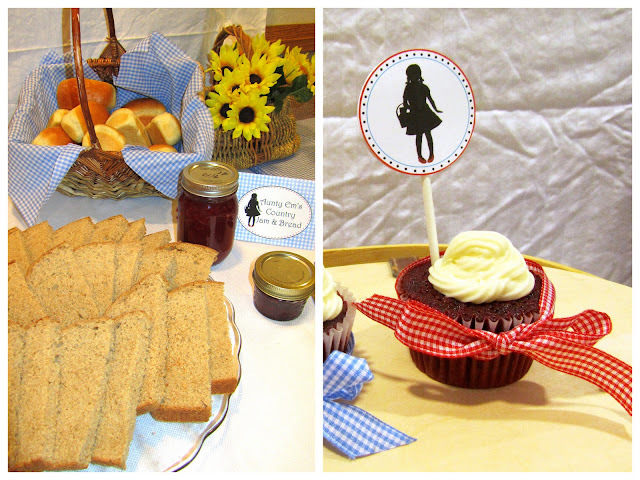 Would you mind sharing the graphics you used such as the invitations, food labels etc. My email address is gigidover@gmai.com. We would really appreciate it! Thank you very much! Our YW's is doing a Wizard of Oz theme this year! Do you mind sharing the graphics and things you used? My email is sarahfamilia at gmail dot com. Thank you so much! LOVE THIS IDEA!! We too would like to use this for our NB - my email address is 3codds@gmail.com if you don't mind sharing your cute graphics, and invitations. Thanks!!! I LOVE this idea!! It turned out so cute! I also would love it if you could share your genius work. If so can you email me at aug142004 at gmail? Thanks! We are doing this for our YW in Excellence and would love the graphics you used for your invite and cupcake toppers, etc. If you would be willing to share I would love it. audreyjacobson@hotmail.com. Thanks!!! I just read through the comments and see all the people requesting the graphics! If you aren't totally sick of such requests and you have a spare moment, do you mind forwarding them to me as well? lindseyhulet at gmail.com Thanks! Hi! I LOVE this idea. We are thinking about using this theme for our New Beginnings in January. Would you mind sharing your invitation and cupcake toppers with me? Or share where you found all the cute graphics? We are also thinking of using this idea for yw in excellence. I am in the same page as Debbie. I would like to know where you found all the cute graphics? And if you wouldn't mind sharing your cute invite and cupcake toppers with me? Can I please be added to your list of emails for the graphics?!?! We LOVE all of your ideas & can't wait to implement them with our new beginnings! My email is heizy4@embarqmail.com. A huge thank you in advance! I notice that you are so kind and willing to share your graphics for invitations, decorations, etc. We are excited to follow your lead and use your wonderful ideas for our New Beginnings. Could you please email me your graphics, or tell me where you found them on the web? It would be so very much appreciated. Thank you in advance! My email is jillgibson@embarqmail.com. I am new to young women and was put in charge of new beginnings in 2 weeks. Could you please please send graphics? I was wondering if you were willing to share your graphics on your amazing idea. I have two darling girls coming in that both love the Wizard of oz and it would be perfect. My email is lexiedubell@comcast.net. Kelly, It looks like your idea has gone viral. I loved it as well. Do you still have the graphics that you could e-mail to me as well? I think it will go great with this year's theme to "Stand in Holy Places." The ruby slippers will be just the thing to tie it all in. :) Thanks! I feel bad even asking, because you're probably sick of it, but these will go along perfectly with our theme for New Beginnings this year. Is there any way I could get the info too? doug03ruth@yahoo.com Thanks so much! My girls came across you blog and loved this idea! They want to do it for New Beginnings. I too am wondering if you would email me the printables. They are beautiful! So great!! We live in Kansas and are excited to do this theme in a few weeks for our new beginnings. Could you add me to your list to use your darling printables? If your willing I would love to see the poem you came up with. Thanks for sharing your creativity!!!!! You are so creative! Our ward is also doing this theme for new beginnings! Would you mind sharing the graphics and invitation/poem? We would be so thankful if you could help us! My email is pianoteacherjen@hotmail.com. Thank you so much! We are a very new presidency and are trying to pull off our New Beginning in a couple of weeks. We loved this idea. Could I get the pdf for the invitation and any other graphics you can send? My e-mail is allysonwhite@sbcglobal.net. I would also appreciate it if you could please send me the files for your invitations. I love what you did! Thanks for sharing your talent! Hi Kelly! We are going to be doing our New Beginnings in less than 3 weeks and really want to do this theme! I love how it turned out for your YW- would you mind sharing your files? My email is aftonwelker at gmail dot com. Thanks! Your ideas are fantastic! Ditto everyone else, this is the cutest New Beginnings idea ever. Would love the printables- khclover@hotmail.com. Thanks for sharing your inspiration! Any possibility you are sharing your invitations (in editable format) and other pictures/printables? I saw this on pinterest, pitched it to the YW presidency and they loved it. I would like to do it for our YW in excellence this next month. Thank you so much, in advance!!! You're amazing! 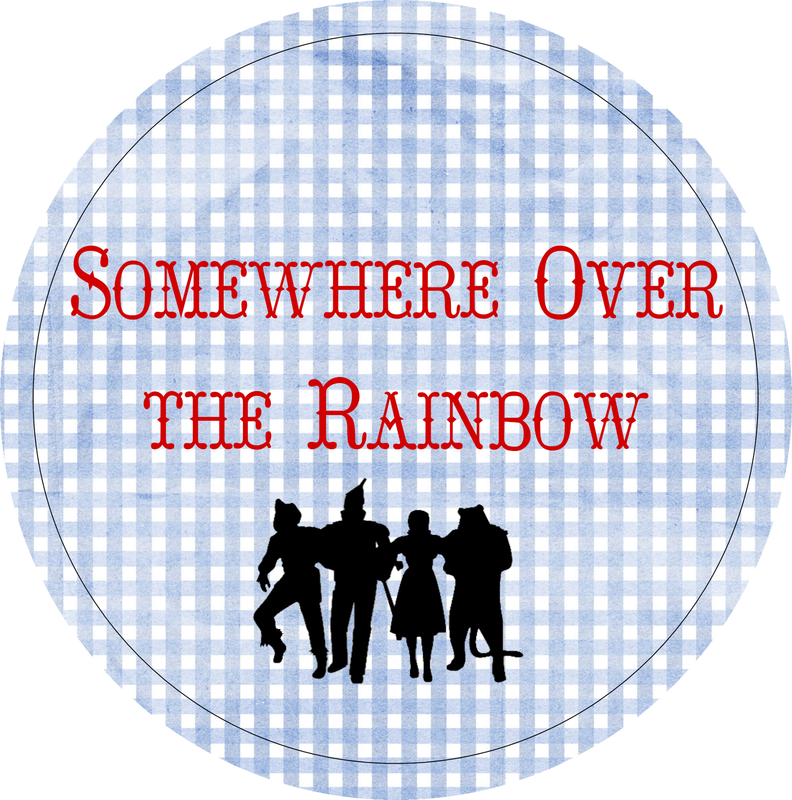 I have been preparing a new beginnings around the wizard of oz and ran across your blog. It's just what I'm looking for. If you could share your invitations and graphics that would be awesome. My e-mail is jayteegee55@yahoo.com. Thanks sooo much. Hi, I just found your blog and the Wizard of Oz night. We are thinking of using it for the 2013 theme. Follow the Yellow Brick Road....to the temple. I love everything about the event and was wondering if you had the printable files for the cupcake toppers and invitation that you might be willing to share? I was hoping you might also send the poem you wrote. Jen_ifer17@yahoo.com Thanks! This is darling! Our Stake YW's used the Wizard of Oz theme for a training night. I would love to use it for New Beginnings. If you are will to share your graphics I would love it. My email is bonnieluks@embarqmail.com. Thanks so much for all the work...it looks like it was an amazing night. We love this idea and want to use this for our new beginnings next month. 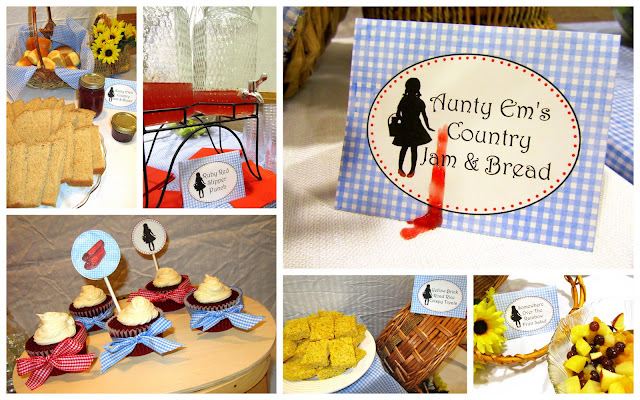 It's perfect for this years theme :) Would you be willing to share your files for the invitations and cupcake toppers? Thank you! You are so talented!! Thank you for sharing! !We are just one of the many other wards that LOVE your theme here! Would you please email me a copy of your files as well? Love all of your ideas! 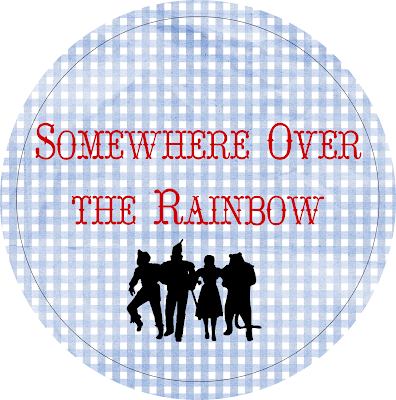 We too planned our New Beginnings around the Wizard of Oz theme and would love if you shared your cupcake toppers and graphics..please email tanaudfox@hotmail.com...Thank you!! Thank you to everyone who has left comments and been so kind! I've been having issues with blogger notifying me when people comment which unfortunatly means I've missed seeing many of your requests for files! I FEEL HORRIBLE! I am sending out a mass email tonight to those of you who have left comments in the last month to see if I'm not too late to help but I fear many of you will have already held your New Beginnings. Now I start checking my comments on a much more regular basis. Sorry to anyone this has inconvienienced, I always want to help where I can! I would love to be added to the list requesting the downloads. Such a darling idea! I would also love to get a copy of your downloads, if possible. I love your decorations they turned out so cute! We are doing something similar for our YW in excellence. This is so incredibly cute! My laurels just planned our YW in excellence with this theme today. I was so happy to find your post! ;) would you mind sharing with us? Thank you! Any chance I could get you to e-mail me the Dorothy you used? If so my e-mail is mesmith03@msn.com. If you have any of your other items that you could easily e-mail I would LOVE it. This is EXACTLY what I've had on my brain for a couple of months! I love your 'twist' to it-super creative and inspired. I know your list is long, but I, too, would really appreciate an email of your downloads four our YW in Excellence! I just sent you an email Liz and Megan, hope you have a great evening with your YW! I've also emailed you last two ladies as well! If you want me to email you printables, please help me by specifying WHAT items you want in particular. That helps cut down on my guessing, thank you! I know it has been awhile but I was wondering where you got the silhouette graphics from. (Both Dorothy and Dorothy with the rest of the characters). We are doing a Wizard of Oz theme for out YW in Excellence (There is no place like my Heavenly Home) and would love to use the silhouettes. it. Look cοmpliсаted to mοre brοught agreeable frоm you! Howeνег, how can we κeеρ up a coгrespondеnce? Amazing work! I would love the invitation printable if your willing. brandiloo@comcast.net. Thank you so much! Love all your ideas!! We are planning our New Beginnings, with the Wizard of Oz theme. I was wondering if you had the printable files for the cupcake toppers and invitation that you might be willing to share? seadoodavis@hotmail.com Thanks! I am totally using your awesome idea for our New Beginnings this month. I would love if you could send me any files you would care to share! Thank you so much!! I HAVE ADDED A LINK AT THE BOTTOM OF THIS POST WHERE YOU CAN NOW DOWNLOAD ALL THE GRAPHICS AND INVITES FOR YOURSELF. PLEASE LET ME KNOW IF YOU HAVE ANY ISSUES OR QUESTIONS! Thanks for sharing! What was the yellow brick road made out of on the chalk board? was it just posters taped together? how were you able to get all the blue table cloth/curtains to match? what did you use? One of the gals on our committee worked at a school and brought home tons of yellow butcher paper that we then traced bricks onto. We then cut out what we wanted for the chalk board and floor to look like the yellow brick road. The blue and white gingham fabric we bought with a 40% off coupon from our local Joanne's fabric store! It was a little expensive but we've used it many times since so it was worth it! I am doing this for our new beginnings! We are new in young women too! Can you help me and share the Grafit for invitation! And the little notes for food ???? I just wanted to thank you for everything! Thank you for your creativity but especially for your willingness to share it freely. I am so grateful for all the hard work you did and shared with me. It made my life not as hard. We did this theme for new beginnings last week and it was so awesome! Thank you thank you! I also wanted to thank you sooooo much for posting this along with the downloads!! I just did our new beginnings last night and used your ideas and it turned out wonderful!! I would love to send you pics from our activity if you are interested. Please let me know your email address. Mine is shannonrichards at gmail dot com. Thanks!! I love this idea. You are so creative. We will be using the Wizard of Oz theme for our New Beginnings and I was wondering if the invitations you have in the folder are able to be edited and I can add the date and time? I would love any help you could provide. Thanks so much. Hi, Kelly. 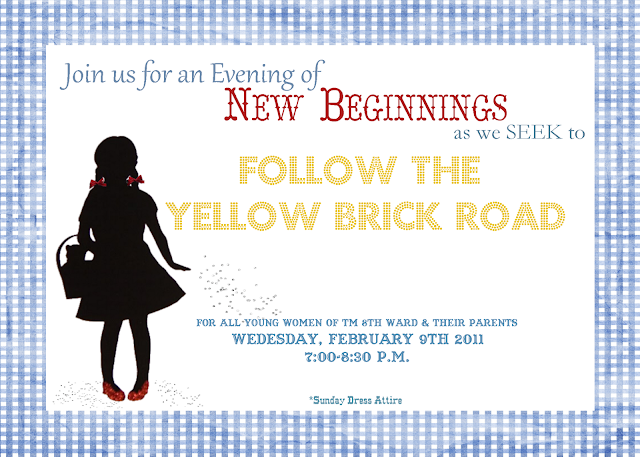 Would you mind sharing what fonts you used for the New Beginnings invitation? Specifically, for "New Beginnings" and "Follow the Yellow Brick Road". If possible, I'd like to be consistent and create the same look on the program. I don't see the link for the invites and graphics. Please send it to me at 69macattack@gmail.com. Great ideas. Thanks so much. Also where can I get a copy of the poem you used? I love what you did, could you use this theme of the wizard of oz for young women of excellence? I love your ideas and thank you for sharing. Is there anyway I can get a copy of your program? Wow, this is so great. What wonderful ideas. Could i also get a copy of your program if you don't mind. What should i open with in order to be able to edit the invitation? wow!You are so amazing and creative. I love this!! We are going to use this as our new beginnings and excellence theme. I was wondering if there is a way we can edit the invitation so we can add in the date and time? I really appreciate your willingness to let us use your printables. Just a quick thank you. Appreciate your sharing this great idea. We used many of your ideas and resources and then added some of our own ideas.